Are special police “Gun Units” a good idea or dangerous one? 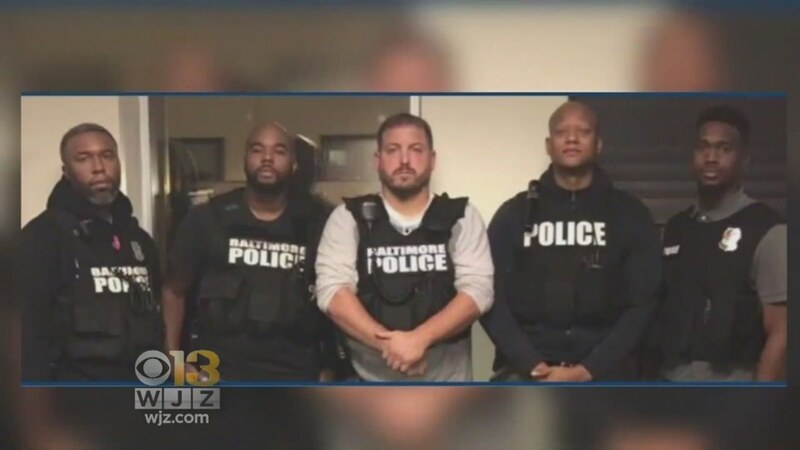 From Baltimore, Maryland, we have an example of what happens when cities create “elite” gun enforcement units acting outside of the traditional role of a police officer. Our SWAT Fuel Warrior of the Week want to discuss the 21 Foot Rule (Tueller Drill) and how it applies to an attacker who might be holding a knife, club, etc. Professor Paul is intimately familiar with this and will share his experience. During Quiet Time from SilencerShop.com, we have a read assignment for you. A citizen cannot complain that his rights are being violated unless he/she actually knows and understands those rights. It is you duty to be educated. Question from Doug Arnold: Will you explain the 21 foot rule when someone threatens you with a deadly weapon other than a firearm( they have a club, knife etc) and deploying your sidearm? While that supervisor, Sgt. Wayne Jenkins, pleaded guilty in the federal racketeering case earlier this year, he continues to loom large at the trial of Gun Trace Task Force detectives Daniel Hersl and Marcus Taylor. Two other gun unit officers, who also pleaded guilty in the case, are cooperating with the government and testified that their stealing from suspects and abuse of overtime escalated at Jenkins’ direction. “Pretty much any individuals we came across, if they had large sums of money, money was being taken,” former Det. Jemell Rayam testified Monday. Another former detective, Evodio Hendrix, said he wanted to leave the task force by early 2017. He said Jenkins proposed a high-stakes robbery and showed members of his squad two large black bags ? one stuffed with masks and black clothing, the other with tools that included a sledgehammer, a machete, an axe and lock cutters, as well as a grappling hook and rope. There have been many brutal regimes in history that have employed a secret police service to carry out everything from intelligence activities against its citizens, to terror and mass executions. Though there have been more than ten brutal secret police forces throughout history, the ten on this list are a cross section that highlight different types of political climates, eras and methods, and though the majority are modern, all ultimately carry out a brutal agenda of terror and violence against its citizens. From the very well known and notorious, to others that may be new to the reader, here are ten of the most vicious, terrifying secret police forces in (mostly) modern history. The Stasi was communist East Germany’s Cold War secret police force. Founded in 1950, the Stasi took many of its cues from the Soviet Union’s KGB, and truth be told during the entire Cold War the KGB and Stasi’s alliances were so close that they shared offices in both Germany and Russia, and had political privileges in each country. The Stasi was fundamentally an intelligence agency, and it is estimated that there was one Stasi informant per 160 East German citizens.